Have a chocolate craving? Are you looking for those perfect sweet treats for a special occasion? 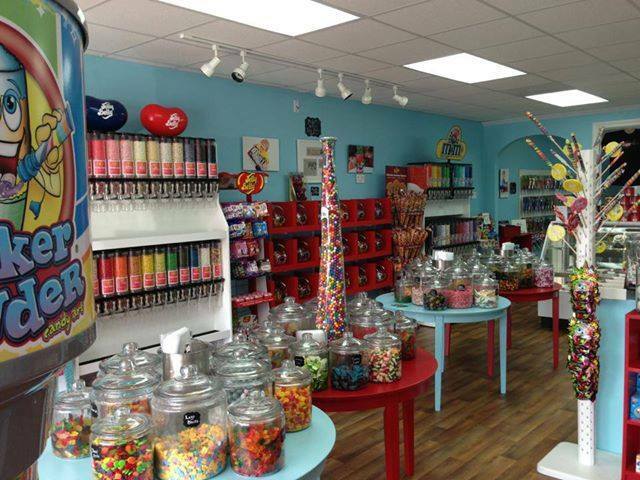 These candy shops are the best in Charlotte and are perfect for a special pick-me-up. Check them out the next time you have that candy craving or need candy for a special event in your home! Candy Girl Confections is a little candy shop located on Selwyn Ave. in Myers Park. It's hard to miss the brightly colored exterior, and the candy inside is just as colorful and delicious! Candy Girl Confections offers everything from your favorite old school candies like colored lollipops, movie theater classics and more. And of course they offer awesome chocolates, jelly beans, gummies and more for any kind of special occasion. 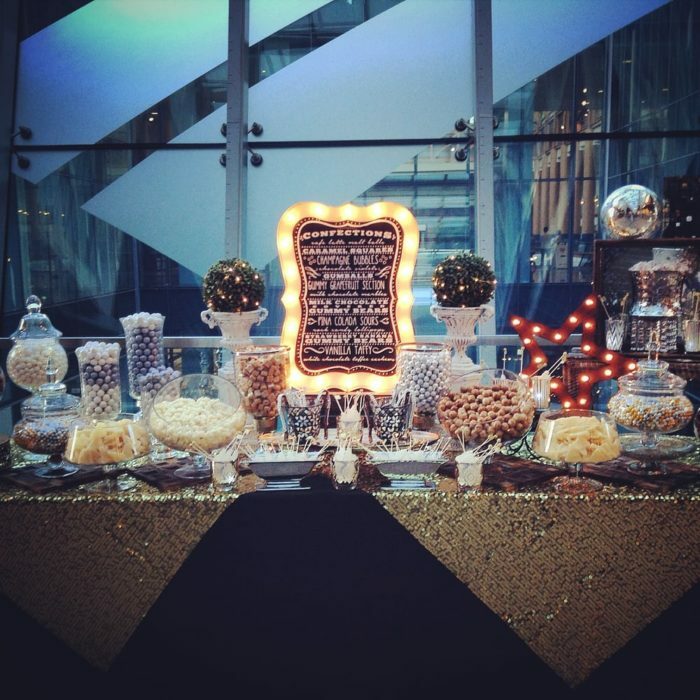 Candy Girl is known for their beautiful table displays that are perfect for weddings and parties. 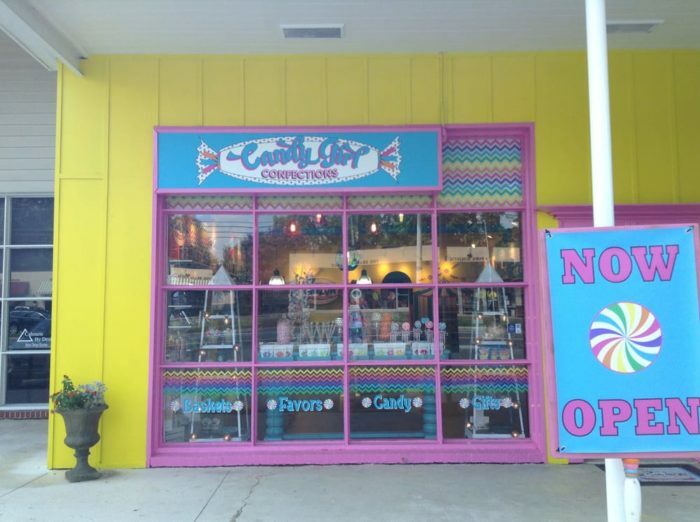 This little candy shop is one of Charlotte's favorites, and one that should be on your list too! 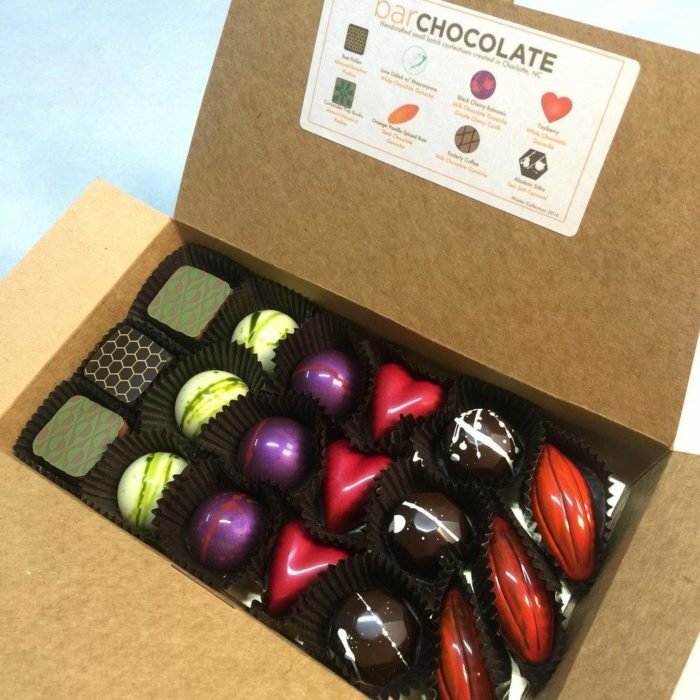 The Secret Chocolatier is an awesome family-owned shop in Charlotte. Led by Chef Bill Dietz, the Dietz family took the plunge into chocolate making and it's a good thing for us that they did! 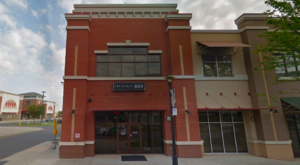 The Secret Chocolatier is located in South Charlotte and in Ballantyne. And they offer the most amazing assortment of chocolates, confections and gifts. There is even a Chocolate of the Month Club at the Secret Chocolatier where customers can sign up to receive 3 months to 1 year of new chocolates to keep them happy all year long! 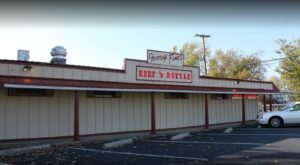 Make sure to stop in and uncover the "secret" of this place next time you are in South Charlotte. Your tastebuds will thank you. 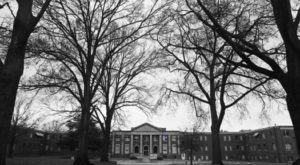 barCHOCOLATE is an artisan, small batch, chocolate confectionery that prides itself on using local North Carolina ingredients and only fresh, without any flavorings or extracts. barCHOCOLATE not only sells delicious chocolates, but they are beautiful to look at too. As much designers as they are chocolate experts, each piece of chocolate from barCHOCOLATE is exquisitely detailed, sometimes hand painted and so beautiful that you may not even want to take a bite. Experiencing so much success as an independent shop, barCHOCOLATE has now expanded their business to occupy the wholesale market. 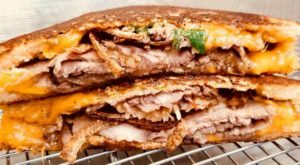 You can find many of their products at Dean and Deluca's in Charlotte or Okra and Greenman Farms. 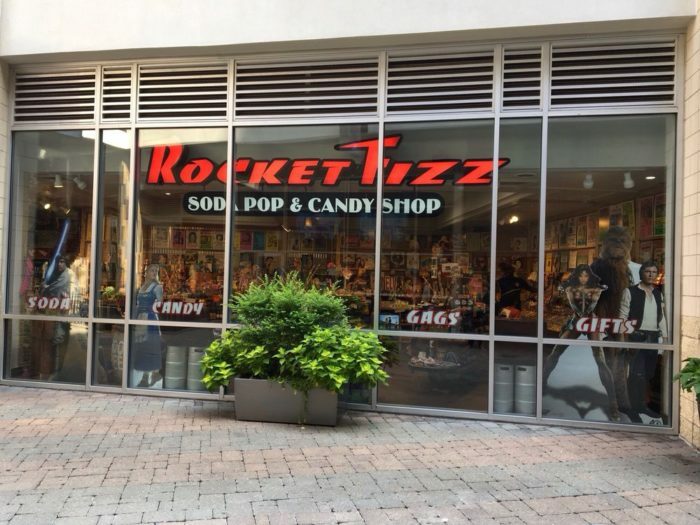 Rocket Fizz is a cool little candy shop located in the Epicentre in the heart of Uptown Charlotte. Rocket Fizz not only sells the best old school candy selections, but they sell a great variety of flavored, bottled soda as well - hence the name Rocket Fizz. 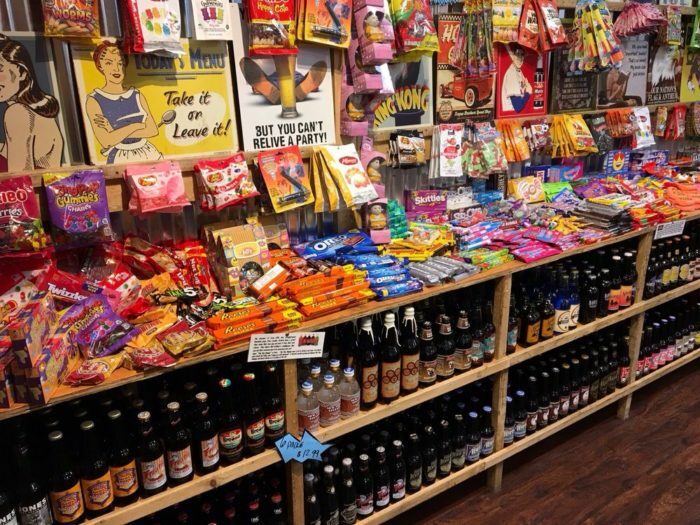 When you walk into Rocket Fizz you'll feel like you walked into a cool 50's dimestore. 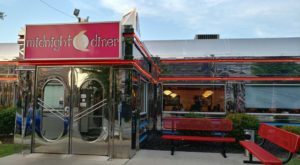 Filled with old fashioned candies, sodas in the glass bottle and tons of comic books and other retro decor, this place is just as fun to walk through as it is to select your favorite candy. The sodas come in all kinds of crazy flavors like S'mores, Coffee and Cherry Pie. If you're looking for a sugar rush, you'll most likely find it here. 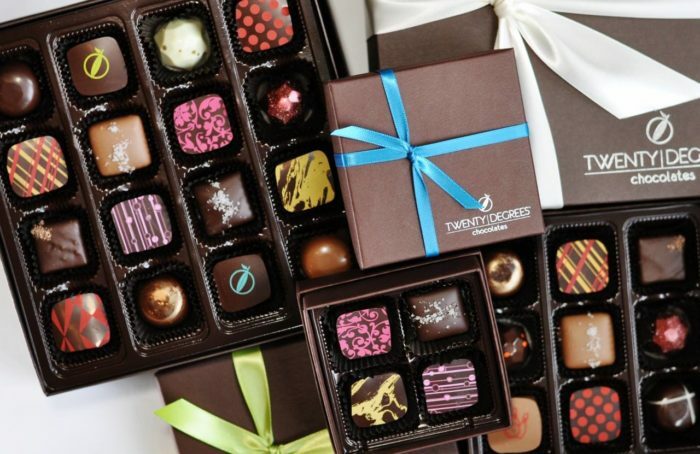 Twenty Degrees Chocolates is a brand of chocolate made in the kitchen of Petit Philippe - a fun wine and dessert bar in Myers Park. 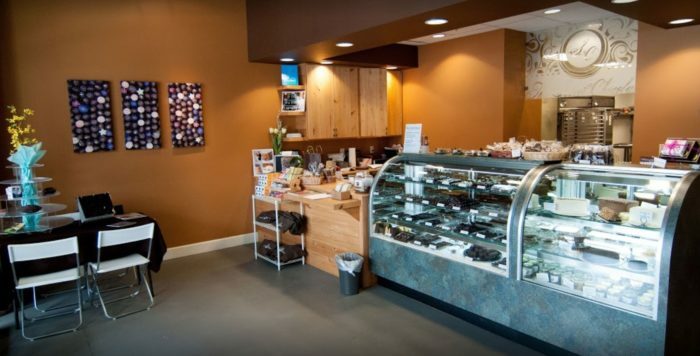 A section of Petit Philippe is devoted solely to Twenty Degrees Chocolates and customers can peruse the counter after they've finished their wine to find the perfect dessert to end their evening. Each chocolate made by Twenty Degrees Chocolates is artfully and thoughtfully designed. Created to give customers the ultimate sensory satisfaction between the beautiful look of the chocolate, the aroma of the cocoa, and the amazing tastes that will floor your tastebuds the minute you try them. Another cool thing about Petit Philippe is that you can watch the chocolate being made through a clear window into the kitchen, so grab a glass of wine, sip and enjoy. Sugar Pop's is an awesome candy store in Mooreseville, NC, just outside of Charlotte. Sugar Pop's Candy is packed full of all the candies you can imagine. Whether it's candy necklaces, bottle caps or junior mints, you'll find your favorites here and will be able to stock-up in no time. 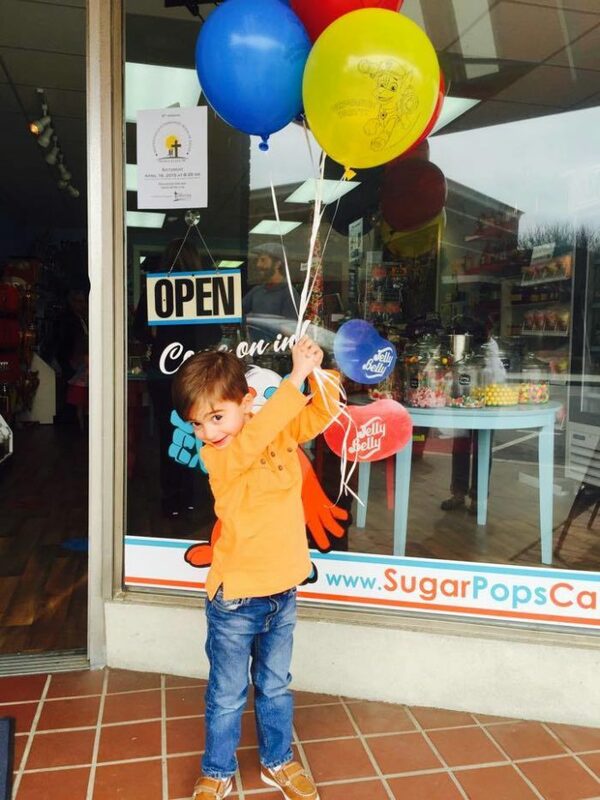 The kids will love taking a visit to Sugar Pop's and picking out their favorite treats! And Sugar Pop's also caters parties and events, so if you need some goodies for your next birthday party, Sugar Pop's has got you covered! 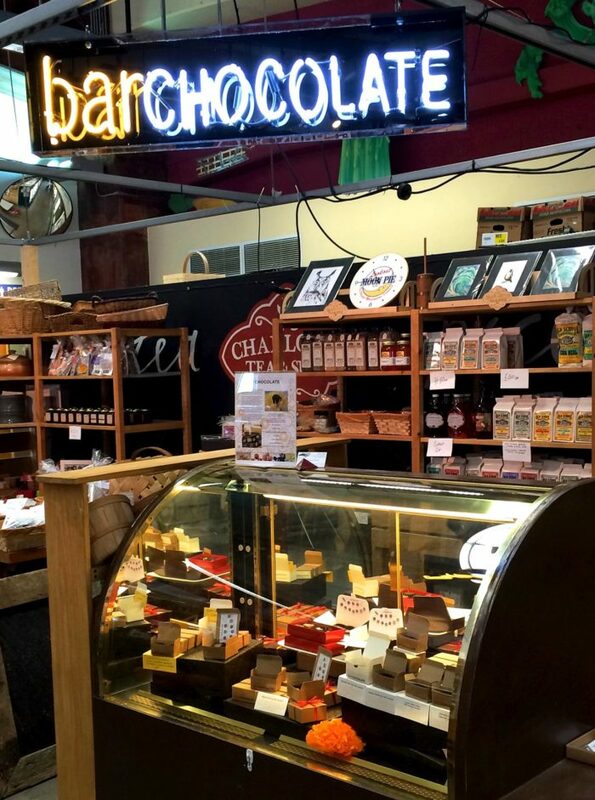 The Carolina Chocolate Company is a key vendor located in the 7th Street Public Market Uptown. 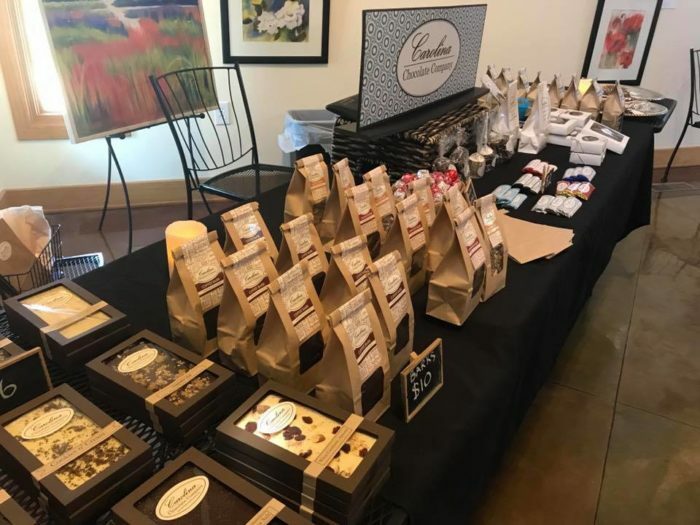 As the market's resident chocolate supplier, visitors to the market love stopping by the Carolina Chocolate Company's booth to sample some of the most delicious chocolates you'll find in Charlotte. Serving everything from truffles to peanut clusters and chocolate bars, it's easy to want one of everything when you visit. If you work Uptown, run into the 7th Street Market for a quick coffee and dessert, or do some Christmas shopping on your lunch break. Chocolate makes the perfect stocking stuffer! 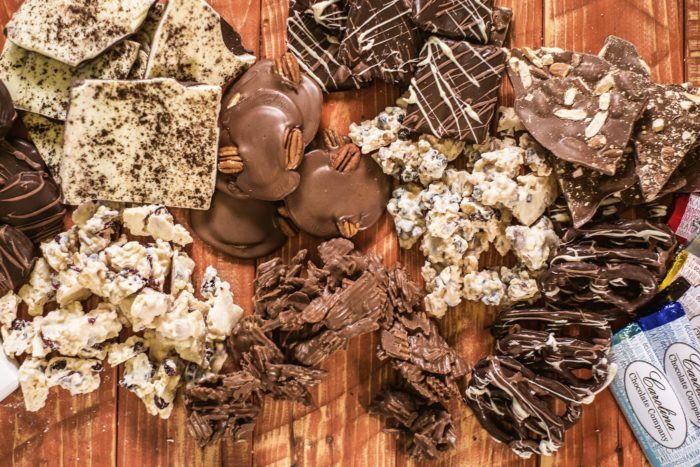 You'll find some of the most unique chocolates at the Carolina Chocolate Company that you are guaranteed to love, so stop in today and see what we're talking about! 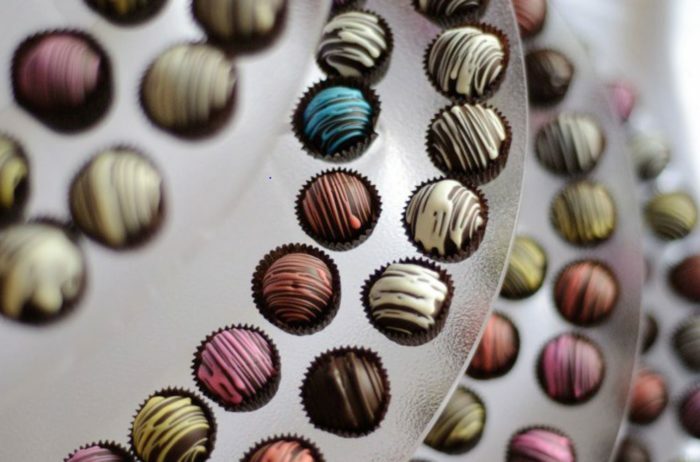 The Rocky Mountain Chocolate Factory is well-known all over the U.S., but we had to include it in our list because of its large presence in Charlotte. If you've ever been to the Rocky Mountain Chocolate Factory, you know their candy and their candy covered apples are absolutely to die for. 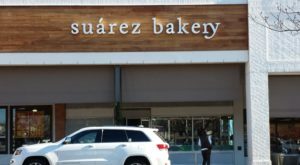 Located in most of the malls in Charlotte, this store is amazing to just walk into and see the range of sweet treats. 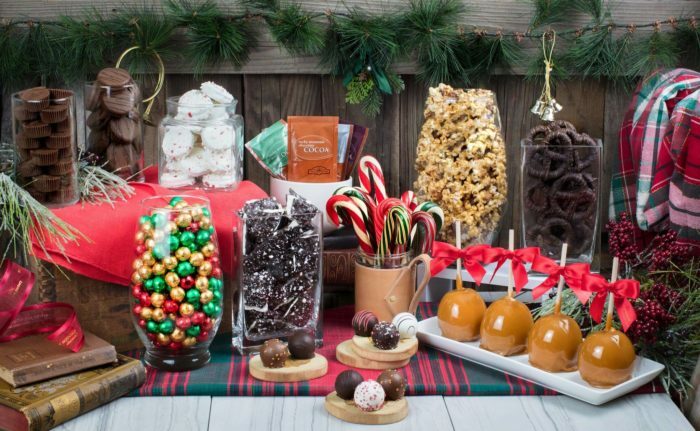 Our favorite is the caramel and chocolate covered apples you can find covered with your favorite candy pieces to make them just that sweet. 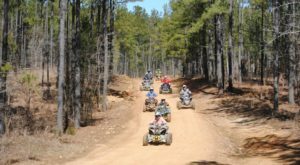 This is another great place to get a holiday gift, or a treat for your special someone. 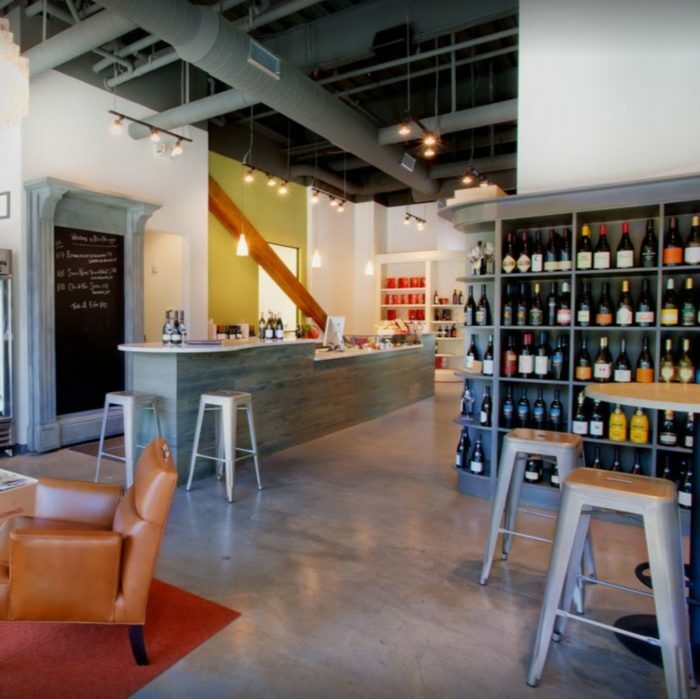 Stop in the next time you're shopping and pick out your favorites. 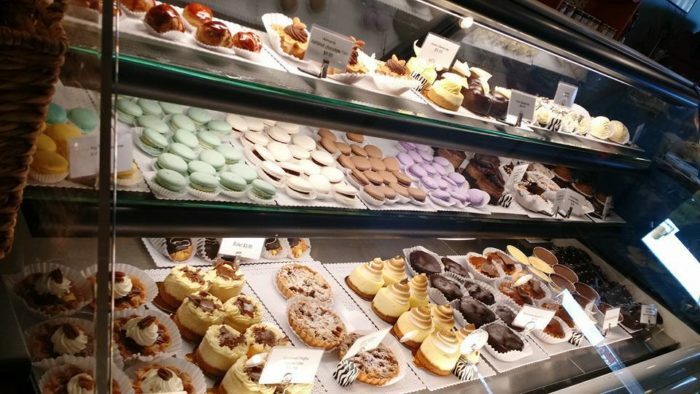 The Chocolatier Barrucand is a tiny little chocolate and pastry shop located in Concord, NC just 20 minutes north of Charlotte. When you walk into this store, you'll be reminded an of an old fashioned chocolate shop like the kind you would have seen in old movies. ...and the warm smell of chocolate will have your mouth watering as soon as you hit the door. 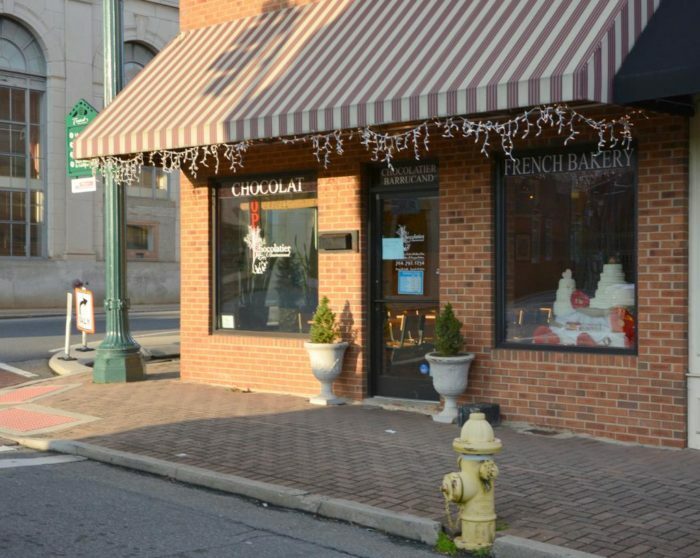 Owners Jean-Luc and Anne Marie Barrucand have been called some of the most experienced chocolatiers in the Charlotte area. If you are ever in north Charlotte, this shop is definitely worth a stop. Are you a candy lover? Check out any of these amazing candy and chocolate shops in our city. 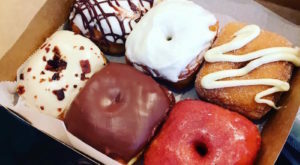 If you end up visiting, share a picture of your favorite treats with us on Instagram (@onlyincharlotte) or Only In Charlotte on Facebook. Enjoy!